This attractive and stylish clock is decorated with small coloured hemispheres of glass and also has the appearance of being made out of crystals or ice. It would make a great gift or addition to the home. It is 43cm sqaure (17 inches approximately) and offers great value for money. 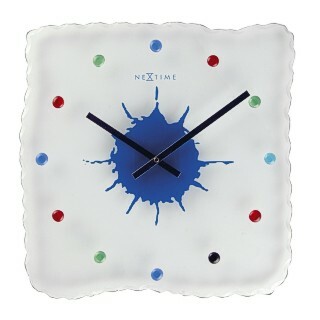 The glass dial has metal clock hands and smooth edges for a quality finish.